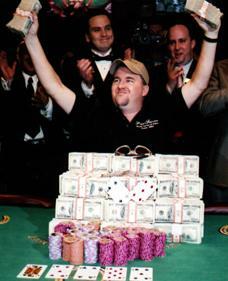 Submitted by Cory, this article belongs to the Poker Bankroll Building series. How to play poker best is an article written by Cory where he gives advice on how to determine your poker A game. Obviously, the best way to play poker is when you’re beating the game and winning in the long run. Read on to learn more with regards to identifying your best poker game. Finding your best poker game can be a little tricky, but it’s something you need to work on and be honest with yourself about. Your best poker game is the poker variant at which you have the highest hourly profit with a minimal risk of ruin. Sometimes with variance being what it is, finding your best game can be a long and costly process, but the upshot is, you’ll get plenty of experience playing other forms of poker that you can use later. Remember, just because you’ve had three big winning sessions in a row at no limit hold ‘em, it doesn’t necessarily mean that no limit is your best game. You’ll need to get in thousands of hands before you really know how well you understand the finer points of no limit and how your level of understanding matches up against your regular competition. I spent over a year and a half just playing limit hold ‘em to see if my win rate would be higher than no limit and for a while it was. However, I found around my hundred thousandth hand online, plus another thirty or forty thousand live hands I kind of hit a wall in my thinking of limit hold ‘em and had a difficult time progressing from that point. The best part was, I got to learn a lot about limit poker and can hold my own in that game, so if the occasion arises where a limit game is my best choice for a particular night, I can take a break from what has become my best game, no limit and still have a positive expectation in limit. Everyone has an opinion on whether a not poker players should specialize and I say yes and no. I think it’s important to know what your best game is, play that one most often, learn everything you can about it and be the absolute best you can be at that particular variant. However, neglecting the other games entirely can be a big mistake as well. If the biggest fish you know wants to play Omaha Eight or Better and you’ve only ever played no limit Hold ‘Em, you’re giving up some pretty good money. You don’t need to be the best Omaha player to beat someone who’s terrible at it, but having a solid understanding of it will sure help give you the best chance to separate them from their poker bankrolls in whatever game they wish to play. One of the best things about online poker is for just a few bucks you can get tons of hands in playing games that you’ve never or rarely played before. PLO is probably one of my worst games, but today I played for 1 cent and 2 cent blinds and managed to hold my own. This is a chance I couldn’t take if the only PLO games available to me were the $1-$2 PLO game that my local card room spreads. That’s a pretty expensive way to learn. So start your journey to find the most profitable game for you and along the way enjoy learning all of the games for very little investment. That way, you make your bread and butter at your best game, but you can be flexible to collect easy money when it shows up somewhere else. I guess it’s not only determining whether your A game is No limit, Limit, Omaha etc….you also need to find out if you’re best game is cash, SNGs or tournaments. this article is wrong about the rakeback deals. I have played on power poker for several years now as A US player and have never had a problem either depositing or cashing out. just thought Id help ya out on this so there was no confusion… take care and best of luck everyone !